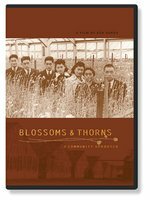 Blossoms and Thorns, a short documentary commissioned and funded by the Contra Costa Japanese American Citizens League, depicts the story of Richmond's Nikkei flower growing community. Japanese immigrants began arriving in the San Francisco Bay Area in the late 1800s and quickly discovered that they could make a living growing cut flowers. The moderate climate was conducive to growing flowers, and they found affordable land with ready access to well water and public transportation. Through hard work and collaboration with other immigrant growers from China and Italy in particular, Japanese flower growers established the San Francisco Flower Market as a hub for the cut flower industry throughout Northern California. These growers succeeded despite increasingly hostile anti-Asian sentiment in California. Laws were passed restricting immigration from Japan, marriage to American citizens, and ownership of land. Japanese immigrants nevertheless created families and businesses in California, often skirting the laws by placing their property in the names of their American born children—kids who generally thought of themselves as American, particularly in rural Richmond, a small community with immigrants from around the world. Their beliefs were soon tested with the bombing of Pearl Harbor, when everyone of Japanese descent in their community, regardless of citizenship status, was rounded up and removed to remote parts of the United States, in barren desert incarceration camps. Through a combination of personal interviews and archival footage, Blossoms and Thornspresents the story of Richmond's flower growers: from the pre-war era when Japanese immigrants first arrived; to the bombing of Pearl Harbor and the forced removal of everyone of Japanese ancestry throughout the Western United States during World War II; and finally to the post-war period of resettlement, when Richmond's Nikkei community returned from the camps and reclaimed their lives and businesses, in a dramatically changed Richmond. Narrated by broadcast journalist George T. Kiriyama, featuring Richmond flower growers Ruby Adachi Hiramoto, Flora Ninomiya, and Tom Oishi. JANM . Last modified Jan 28 2013 2:13 a.m.